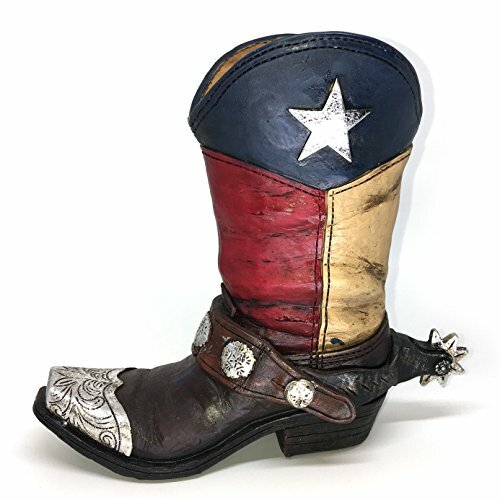 You're going to love this fabulous red, white and blue rugged cowboy boot planter or vase. Complete with the Texas Lone Star and a spur, the detail is amazing. Made of resin so it's much more durable than ceramic or glass. Such a great accent for your western or Texas themed home, also makes a wonderful gift for your favorite cowboy or cowgirl. 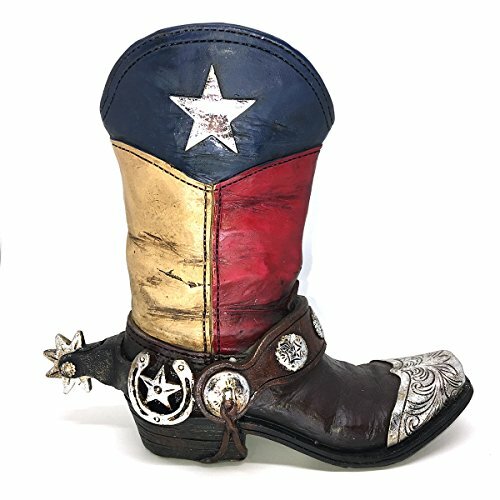 This rugged Texas boot is a fabulous addition to any western decor. Faded and rough, the lone star and red, white, and blue colors depict Texas is a wonderful way. Perfect gift for any cowboy or cowgirl in your life. Made of resin so it's more durable than ceramic or porcelain. Stands 7-1/2" tall and 8" from toe to spur. If you have any questions about this product by Colors of Rainbow, contact us by completing and submitting the form below. If you are looking for a specif part number, please include it with your message.